The caravan is equipped with an Elecbrake control system which allows any suitable vehicle to tow. So no need to have a braking system on your vehicle. Requires the correct towing vehicle. Pets allowed, Small pets preferred. Large pets would be fine staying in the Annex. This was perfect! So well set out, clean, great comm7nication and Paul was so helpful. There is absolutely nothing we could recommend to improve ... than you so much Paul for everything. 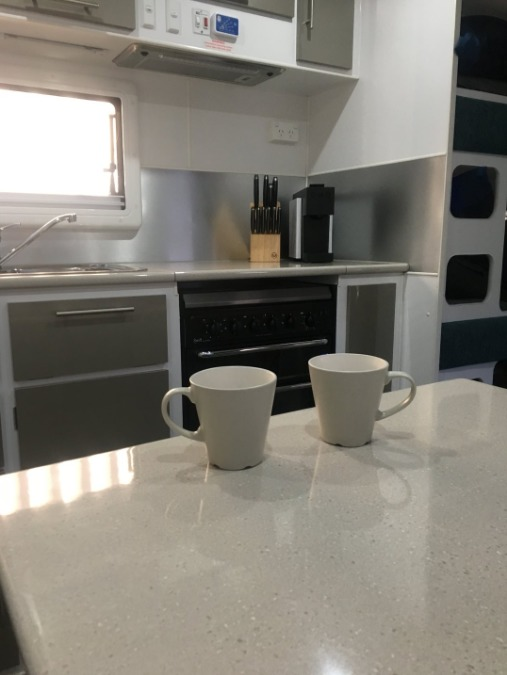 The Caravan was spotless and in great condition, Paul showed us everything on how it all works down to answering some calls on things we needed to double check. A great communicator and very helpful. It was a great experience and we really enjoyed our trip! 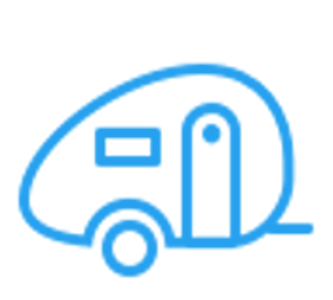 If your using Camplify for the first time, you couldn't find a better caravan and owner to hire from. Paul and Renee were great to communicate prior to our hire. We elected to arrange for Paul to tow the caravan to Port Elliot for us. Paul's professionalism and personal approach was excellent. 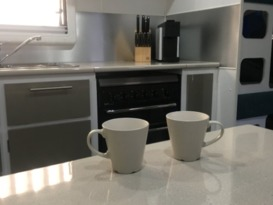 The caravan and facilities/ equipment provided were in excellent condition. We have already booked (pending) for next year! We cannot rate the experience with Camplify and Paul high enough. Alex & Deb. Comes with everything needed to hook up drive away and for the stay. I would highly recommend this van to anyone. We hired the Kokoda from Paul for a trip to Perth over 2 and a half weeks. The caravan was excellent! Fully set up for everything we could have possibly wanted. Paul was very helpful in his handover and answered any and all questions we had. He was easily contactable during the trip if any issues arose. We will definitely be looking to hire the Kokoda from Paul in the future!! Paul was exceptionally helpful & professional. Everything worked well , & we had plenty of contact should we need it. Definitely use him again. Very happy with the van and communication from Paul. Would recommend this van to family and friends, it was such an awesome experience.